CALEDONIA — Clear Fork’s girls started slowly, but came back strong to give River Valley a competitive game before falling 46-37 here Friday night. Randy Pore has seen his squad sputter out of the gate before, in this case falling behind 7-2 after one quarter. “That’s not the first time we’ve come out a little bit slow and had to call timeout early and re-group. We just don’t have that switch that we can turn on at the beginning of the game,” Pore said. Morgan Galco’s 3-pointer put the Colts ahead 18-15 with 1:20 to go in the first half. Taylor Hecker answered with a trey of her own to knot the game at 18 at halftime. Clear Fork got open looks much of the night, but failed to convert. The Colts committed 16 turnovers and the Vikings 25. “With it tied or a small deficit, we haven’t been in that situation. Our nerves are a part of it and I don’t help any when I get excited,” Pore said. Leading the way was Valerie Golden with 9 points off the bench (all in the second quarter) and Brooke Robinson with 8. Galco and Kali Weikle added 5 each. Madi Lott had 15 for River Valley, including 4-of-9 from beyond the arc. Leticia Harbolt scored 8 coming off the bench. Vikings head coach Tim Chiles credited the Colts for their effort. Pore has seen his squad improve despite its record. “We are learning something every day. Everyone is trying hard and putting forth the effort, so I’m real proud of them. Sooner or later here we are going to start putting 4 quarters together and really come together as a team,” Pore said. 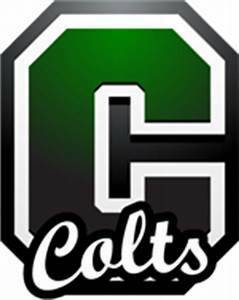 The Colts are 2-11 overall, 1-8 in the Mid-Ohio Athletic Conference. The Vikings move to 8-7, 6-4.